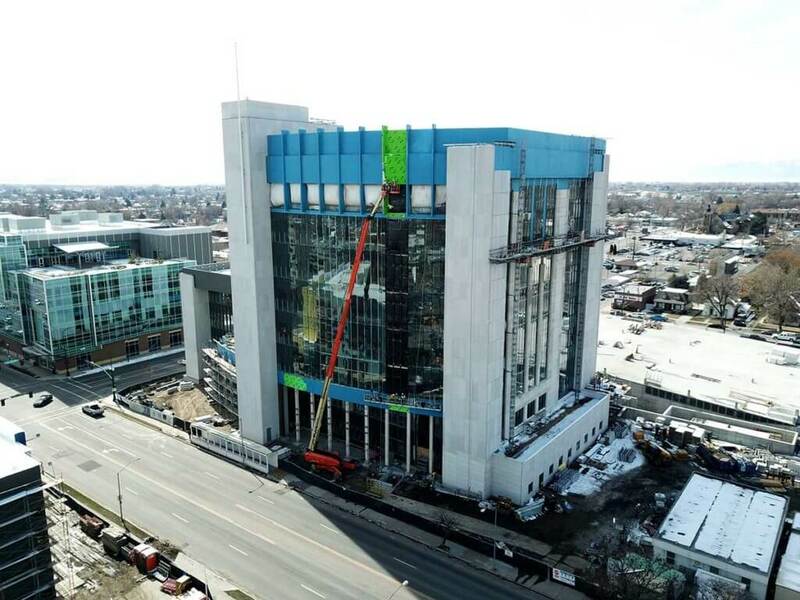 The new new $86 million Provo City courthouse that includes 16 courtrooms will provide the state employees and public better access to the courts for decades to come. 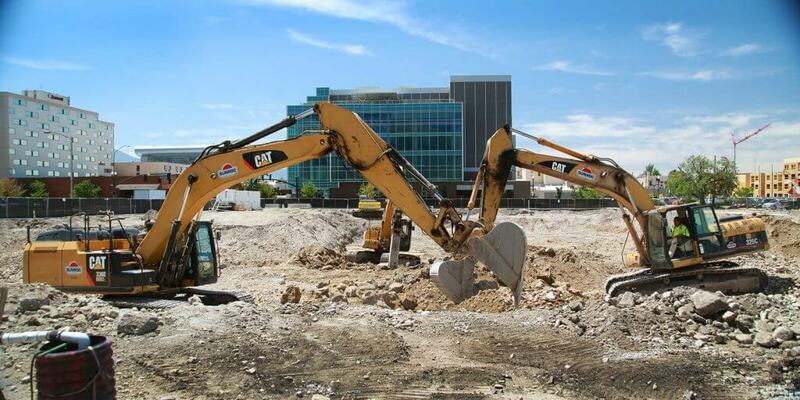 Sunroc performed the site development, grading and structural excavation that also included a significant amount of demolition of existing surface and utility infrastructure that remained from previous structures located on this full city block in downtown Provo, UT. 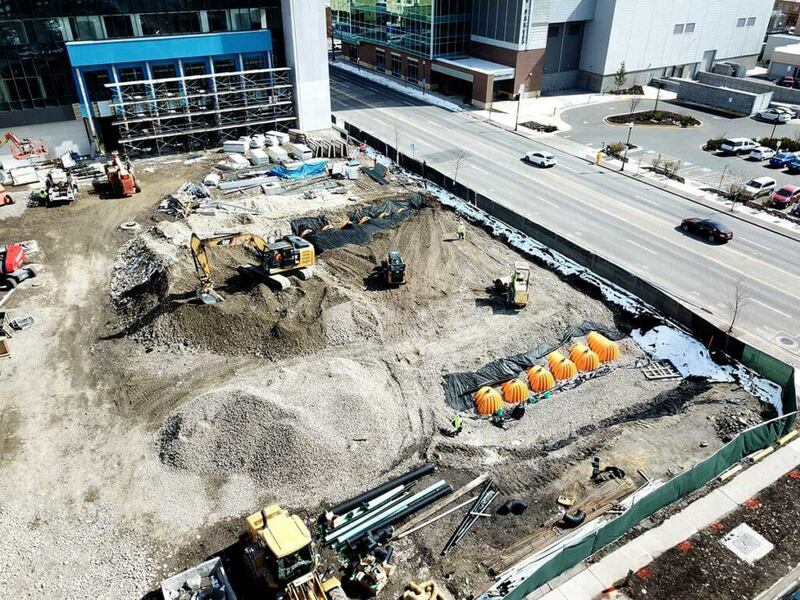 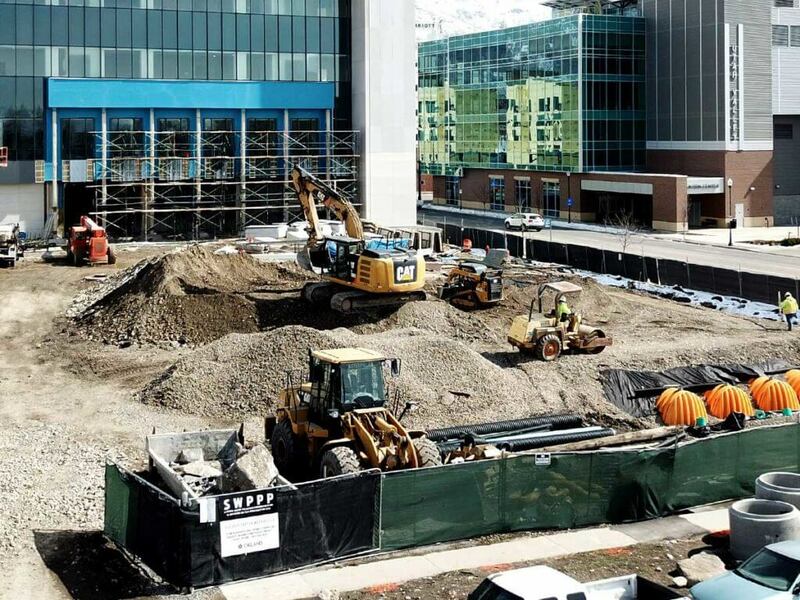 The building excavation involved removing 25,000+ cubic yards of material including large layers of ‘hardpan’, which is a cemented conglomerate rocky soil condition. 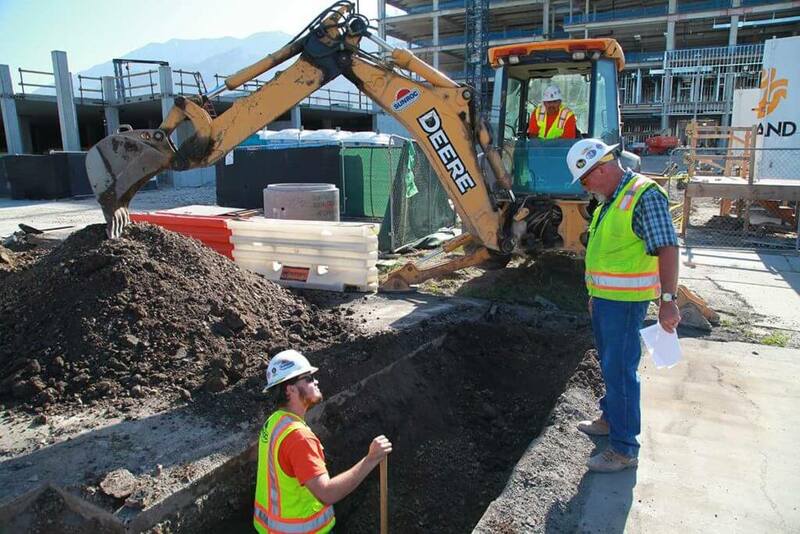 This required the use of large excavators with breaker attachments. 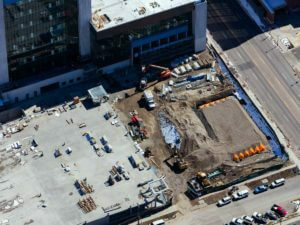 At completion the new courthouse, which is 7 stories tall, along with it’s adjacent parking structure will fill the entire block just north of the Utah Valley Convention Center. 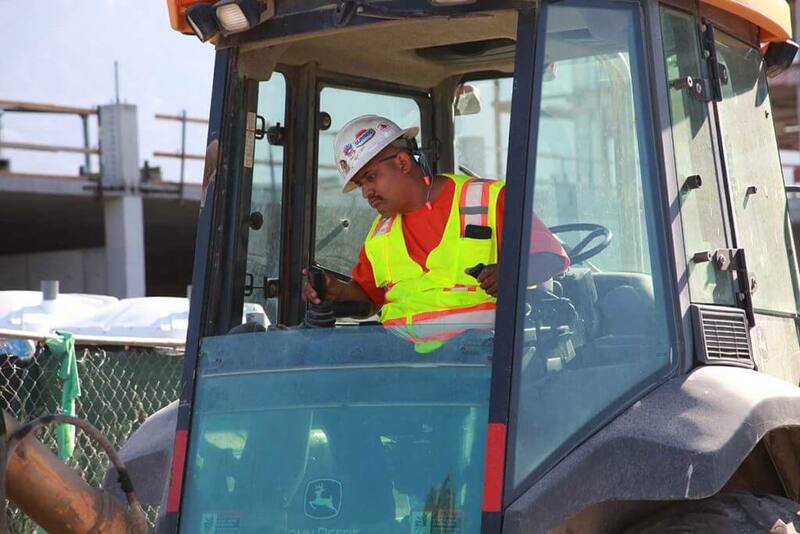 Some of the major challenges that were faced during the excavation phase for this project were the ‘hardpan’ soil conditions, the very limited amount of space that we had to operate in proved to be another sizable challenges for this project. 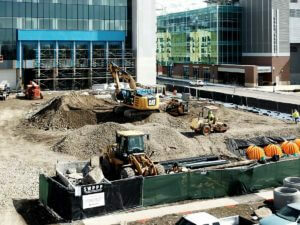 Also, working well below the water table during mass, and structural excavation were difficult. Additionally, dealing with high traffic volume roadways along the east and south sides of the site have brought their own difficulties.